Here’s the short story on who I am and if and why you should care. 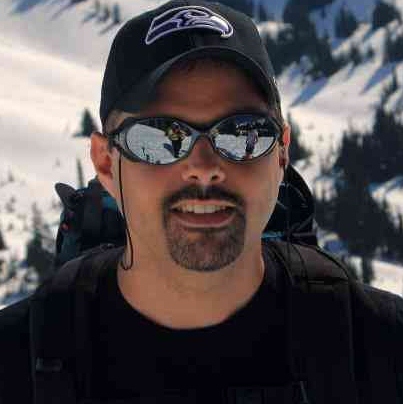 My name is Doug Seven and I am a Senior Director in Microsoft Healthcare (a group in the AI & Research division). My focus is on incubating new experiences and technology that will enable our customers to gain insight and actionable intelligence from their healthcare data. I originally began working at Microsoft in 1999, after abandoning a failed attempt at being an industrial-rock star. A year later, in 2000, I left Microsoft to form what became DotNetJunkies, a Microsoft developer community partner. When we started the company (then called CodeJunkies)we built up a solid consulting practice (eventually rebranded to Atomic Consulting Group) leveraging our expertise in Microsoft’s .NET Framework. As we were building up our own knowledge base on the .NET Framework (which was named Next Generation Web Services, or NGWS during its beta time frame) we decided to share what we learned with the community through a website (ASPNextGen.com). When the .NET Framework was released (and formally branded as .NET) we rebranded our now growing website to DotNetJunkies.com. ASPNextGen.com waslaunched on July 21, 2000 and was the first public-facing website running on the .NET Framework (it was launched, with permission, on the pre-beta bits of NGWS). A publishing division of our business was born and was growing fast. With the release of SQL Server 2005 we added a new website, SqlJunkies.com. Both websites were squarely focused on the developer communities around these Microsoft technologies, with lots of technical how-to content written by us and by the community. We added blogs and forums early on and both sites became hubs for developers helping developers. In 2004 we sold the publishing business (and the DotNetJunkies and SqlJunkies brands) to CMP Media. After a short stint helping transition ownership of the websites, I returned to Microsoft, in the Developer Tools Marketing team as a vendor to help redefine the existing developer community program that I had been a part of with DotNetJunkies. Six months later I relinquished my Microsoft Regional Director and MVP titles to be hired as a full-time employee at Microsoft, as a Program Manager in Microsoft.com. My charter was to implement aspects of the program that I spent the past six-months defining. Shortly after that I was asked to be the Senior Development Lead to guide an engineering team implementing social networking capabilities in MSDN.com. It was a crazy ride that included moving from Microsoft internal tools to Team Foundation Server 2005, and from “old school” practices to agile methodologies including scrum and test-driven development. After a year, and a lot of lessons learned, the team released a set of public betas for new MSDN blogs, forums and a tagging solution called TagSpace. Still in the works was a new claims-based reputation system. Then our team was re-orged into the larger MSDN team, and our projects lost their funding. In 2007 I returned the Developer Tools Marketing Team as a Senior Product Manager for Visual Studio Team System – later rebranded as the Ultimate Product Manager for Visual Studio. I lived through two release cycles (2008 and 2010) and was there for the first half of the release cycle for Visual Studio 11, helping to define the direction of the next release. In 2010 I took over the Product Management team for the .NET Framework, Visual Studio Professional, Express and the newest member of the family, Visual Studio LightSwitch. My team and I worked on the core development scenarios for Windows Store apps on Windows 8. When I left Microsoft in July 2011, I sent an email to many of the people I worked with that included the following section. I still believe strongly in this list, and #10 proved to be true once again. Know your customer You can’t build inspiring products nor deliver compelling messages unless you know who you’re talking to. Always have a plan (and a back-up plan) Things change quickly around here and your plans have to change quickly as well. Don’t take it personally This is business, and sometimes you have change direction to do what’s right for the business, no matter how personally invested you are in the current Plan-of-Record. Its not about you, it’s about the business. Socialize ideas frequently Figure out who your stakeholders are right away, and engage them early and often. When in doubt, error on the side of the customer, not the P&L If you do what’s right for your customer, the Profit & Loss Statement will be fine. Seek feedback, and course correct as needed There is no substitute for hearing the perspective of others, on both your performance and your deliverables. Seek it out, and adjust appropriately (also reference # 3). Never stop building your network It is amazing how often you work with or for people you have encountered before. Never stop building your network. Go to coffee, lunch, or just stop by to chat. Who you know is often more important than what you know. Go to events and meet your customers Nothing can replace a first-hand experience with a customer. The stories you hear and the perspectives you gain are irreplaceable (see #1). Don’t lose sight of who you are Microsoft was founded as a developer company, with the creation of the BASIC interpreter for the Altair 8800 in 1975. Developer technology is in your DNA, it is who you are. Remember, Windows didn’t come along for almost ten years after that. At the beginning of the new year I left Telerik and returned to Microsoft to continue my old pursuits in the Application Lifecycle Management space. In the nearly two-years that I was gone, Microsoft had undergone and internal transformation and now has aspirations to be a devices and services company. It was like an alignment of the planets; finally the development tool that I had helped shape over the years was open to the ideas I had been pursuing–leveraging the Cloud/Services to create compelling user experiences and move beyond the constraints of licensed IP, and the company had broken out of their cone of silence and was willing to accept that non-Microsoft device platforms were as important to their customers as Windows. One of my former colleagues recruited me back to help craft and drive the Visual Studio product strategy for the ALM workload; to work across teams and unify the efforts to create more compelling scenarios and experiences for developers. Since then I went on to lead a team of super-star engineers in what was know as DX-TED (Developer Experiences – Technical Evangelism & Development) that only engaged in customer-led innovation. This was one of my all-time favorite jobs. My team and I were focused on innovation, we had lots of direct contact with our customers, and we were constantly learning about new ways that our customers wanted to use our technology. A lot of our work was focused on IoT, machine learning and computer vision. We worked with the likes of Disney, Skanska, Rockwell Automation, Delta Airlines, BMW and Toyota. The last two companies lead me into my next role…the Group Program Manager for Azure IoT – Things That Move. The Microsoft Connected Vehicle Platform team, which developed an Azure-based platform for connected vehicles. We works closely with Renault-Nissan, Toyota, Daimler (Mercedes Benz), BMW, Audi, Ford, GM and others. We shipped the MCVP in 2017 and passenger cars coming off the factory assembly line today are connected to Azure through this platform. The Azure Maps team, which was responsible for partnering with TomTom and other geospatial data providers to provide a developer platform for location services. The MCVP was a catalyst for the work we were doing, and we closely partnered with other Azure IoT teams to be the geospatial data backend for any connected Thing that moved. Azure Maps went to public preview in November 2017 and to General Availability in early 2018. As we shipped both of those products, I went off seeking a new challenge….another innovation and incubation project. Today I am the Senior Director of a research and incubation team in Microsoft’s AI & Research division – specifically in Microsoft Healthcare NExT, led by Peter Lee. My charter is to create new experiences and technology that will enable our customers to gain insight and actionable intelligence from their healthcare data. My team’s current efforts are around the HL7 FHIR specification and how we can enable FHIR data in Azure, and create new and meaningful machine learning experiences in FHIR. Hi Doug, where did you see a 10 year support life cycle for Silverlight? Pingback: Like PhoneGap In The Cloud: Icenium Debuts A New Cross-Platform Mobile App Development Platform (Invites) | Technomania.. I saw Doug at a seminar in St. Louis over 10 years ago. It is amazing what 1 chance encounter can do. I was impressed by his passion. His willingness to learn was impressive. But I was struck by desire to teach others and do so with fun. I may have sent a couple emails with questions over that time. He responded quickly, with in depth information and with fervor. I hope the burning light never goes out. Some young soul may be touched to read computer books, learn about technology and experiment with some code. And better yet, to also pass his knowledge along to others with excitement. Keep inspiring!